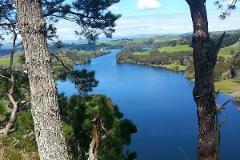 Walk, Ride & Paddle on the Waikato River Trail and Lake Karapiro. 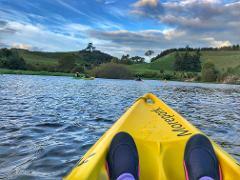 Walk & Ride part of the 100km Waikato River Trail & finish off with a Kayak Glow Worm Tour up the Pokaiwhenua canyon in the evening. 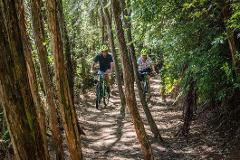 Take a tour on the Waikato River Trail with one of our experienced and knowledgeable guides. The most popular trip for beginners is from Arapuni Dam or Jones Landing for intermediate riders. Trip takes approx. 3 to 4 hours. Take a weekend to experience some of the best our area has to offer. Glow worms, Biking, Walking, Jet Boats, Wildlife and more. 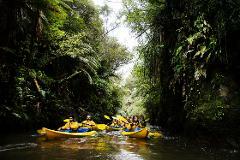 Experience a full day exploring the Waikato. Visit Sanctuary Mountain Maungatautari, and Lake District Adventures. 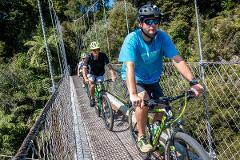 Join us on an epic 3 day adventure taking on two of NZ’s iconic cycle trails! Come and experience what the central North Island region has to offer. From the mighty Waikato River to ancient forests and thrilling suspension bridges.